Figure 1. 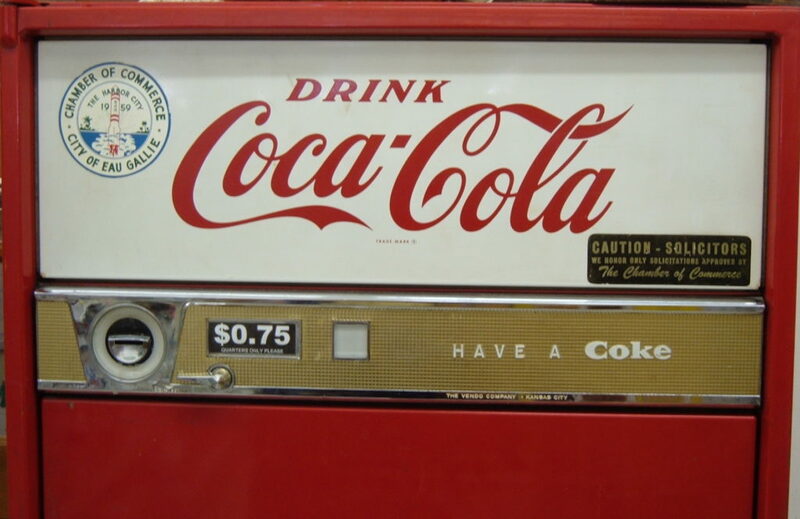 This vintage Coke vending machine is still operating, as of 2009, in the back of a hardware store. The machine vends 8 oz glass bottles of Coke. There are no flavor options or user controls. When you’ve put in enough money, a coke comes out. Note how the price is still set at $0.75. Like GDP and unemployment, inflation is an important measure of the state of the economy. You may not be aware of this, since inflation has not been a significant economic problem in the U.S. since the mid-1980s. What is inflation? It is a sustained, generalized increase in the prices of goods & services. Inflation erodes the value of money and financial assets. The value of money depends on what it will buy. As prices go up, the purchasing power of money declines. The value of your bank balance also decreases since with higher prices, it takes more money to purchase the same quantity of goods and services. In this section, you’ll learn about what inflation is, how it is measured, and how it affects the economy.